If you are a makeup lover, you probably mastered the art of contouring! 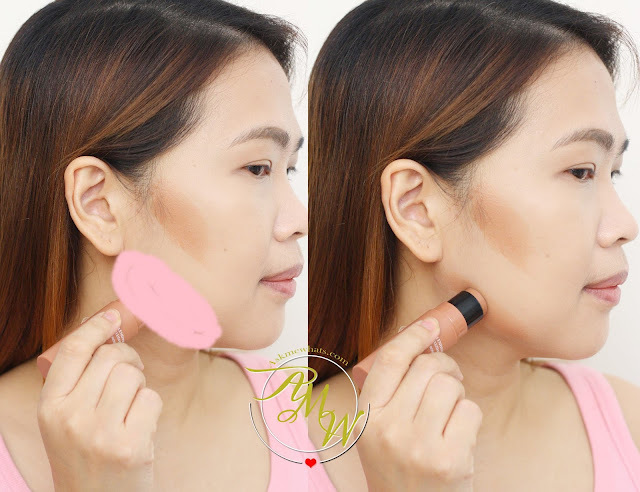 But, do you know that you can also contour using a stick blusher? YES! 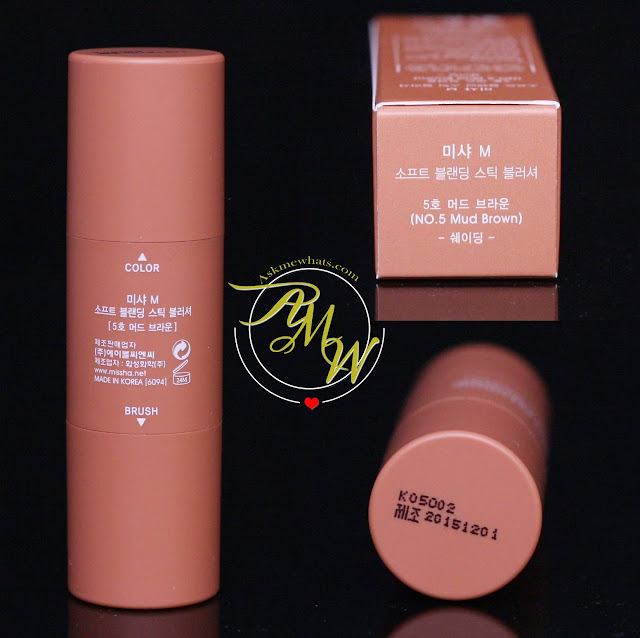 I've found a nice alternative when I was shopping at Althea website and found a Missha Soft Blending Stick Blusher! I'm not sure if this is supposed to be a "blusher" but I find the shade 05 Mud Brown to be a perfect contour stick for me! Tadah! Indeed, very natural-looking and can be applied on a daily basis! No English description but it's okay, this product is quite straightforward and easy to use. The Missha Soft Blending Stick Blusher comes with a "color tip" in crayon-like form. And the best part? You get a blending brush on the other end of the product! The Blending Brush is similar to a flat top kabuki brush with short bristles. Starting from the hairline, I apply thickly in about 1.5 to 2 inches long. Since the stick has a round tip, it is difficult to create a "triangle" but you may still do so by slanting the tip of the crayon once you reach the center of your face. At this stage, feel free to go for 2nd layer and add more product near the hairline. 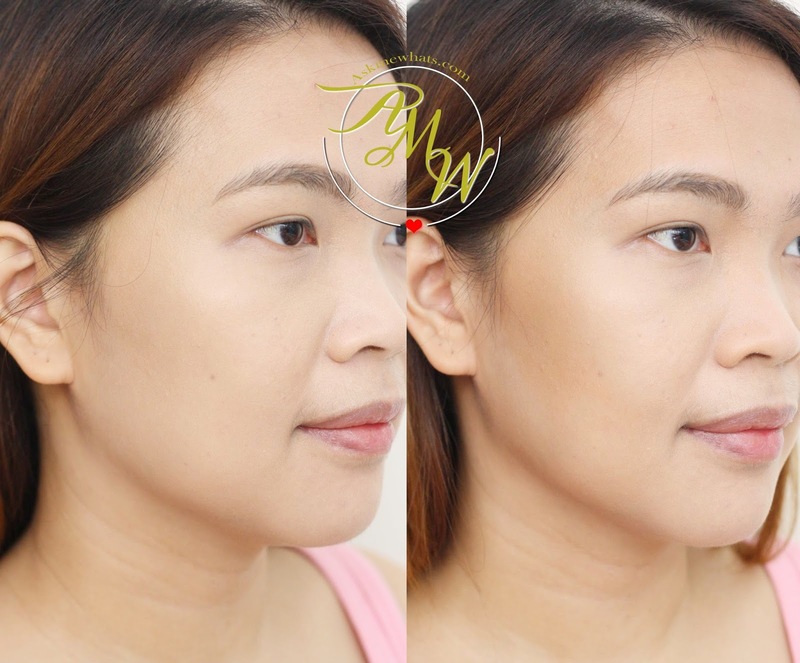 Using the same method, apply thickly on the jawline if you want o make your face appear smaller! If you have a slim face, feel free to skip this step! Now, to complete the look and warm up the whole face, apply a bit on your temple and of course, the nose line! Using the opposite end of the product or the brush side, gently diffuse harsh adjust with soft, circular motion. The brush is very soft and easy to use. I find that if you brush with heavy hand, the product tend to disappear quickly so it is very important to take your time blending out harsh edges and use the lightest hand as possible. 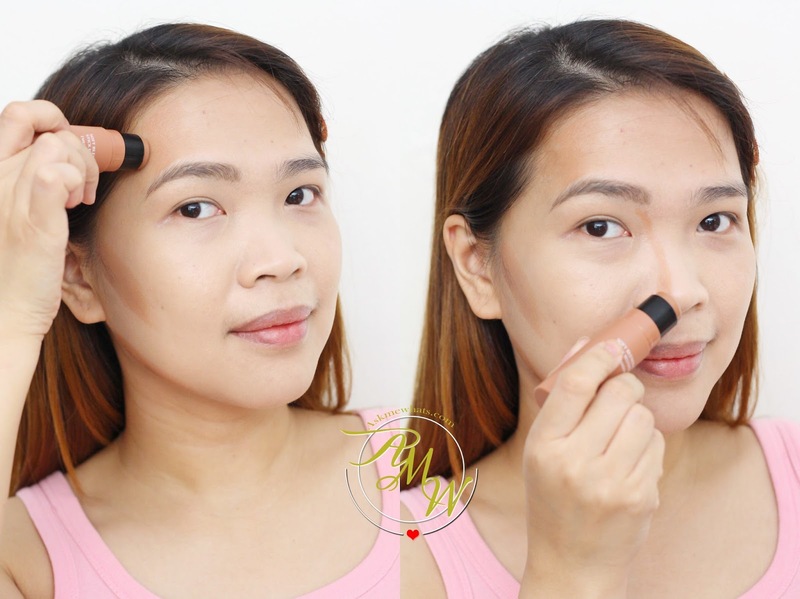 On the "con" side, since the stick is quite big, it is indeed a challenge to contour smaller areas of your face like the sides of your nose or temple, you may use a smaller brush or fingers in application. It is very important to set everything with a setting powder to prevent the product from sliding off. Since the product is a crayon, it has a tendency to disappear midday or slide off! Overall, I am quite intrigued with contour sticks nowadays because they are very easy to use and takes almost no time in my daily makeup routine! Simple extra steps like this makes a huge difference in your daily look! 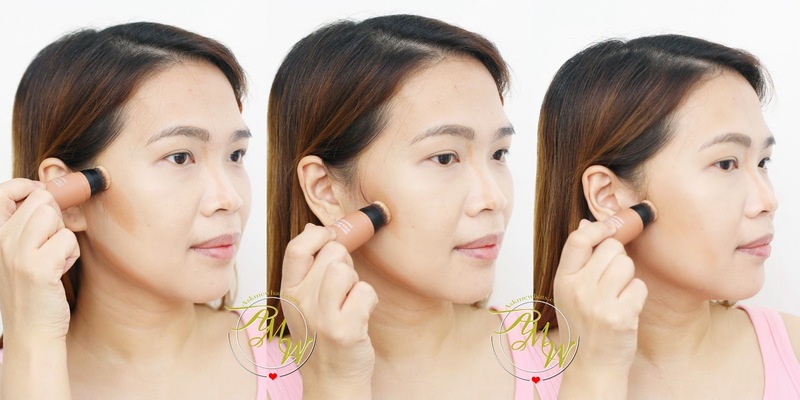 Would you use a contour stick instead of a powder? talaga? Good thing I didn't pick that! But this one is tricky too, has a bit of red tint but again, this can be solved with a bit of tweaking plus yes! this is a nice blush shade! it warms up the whole face like you had a good time at the sun! Oooh it looks great on you. Although I have an issue with this kind of blush. It just makes my face looks dirty instead of sunkissed. I'm hesitant to use stick blush, not sure if the way I apply it pero medyo harsh ang lines sa face ko but I'm going to give this one a try. Anyway. I like that it has a tiny brush on the opposite end, but it's sad that stick products really do tend to have shorter wear time. hahah agree on Mud Brown name.